Trick-or-treating is a treasured part of the Halloween experience for many families. Check out these five tips for making it safe and fun for your younger children. 1. 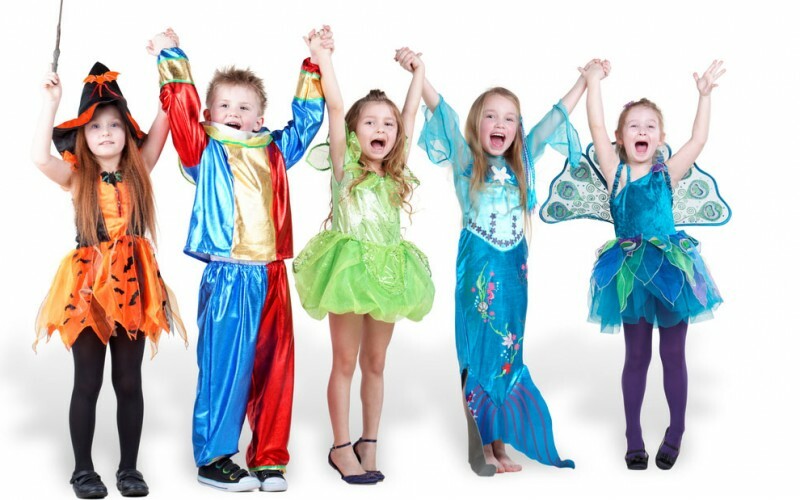 Focus on function before fashion: Yes, your child is adorable in that big, flowing costume, but is it easy to walk in without tripping? Can your child see clearly? If you have to guide your child’s steps to avoid a fall at each house, your child will likely feel frustrated and trick-or-treating won’t be much fun for either of you. Instead of an uncomfortable, restrictive costume, opt for sweats or even pajamas that are decorated to look like the character your child is portraying, especially for younger children. Try nontoxic face paint or makeup instead of a mask. The result is a cute, safe, and comfortable costume. Teach your child to walk, rather than run, from house to house to prevent falls. 2. Be careful with props: Accessories like swords or magic wands can add just the right touch to make your child’s costume extra special. Beware of inflexible props that can accidentally hit someone or that your child can fall onto. Rubber and plastic are safer choices than wood or metal accessories. 3. Be easy to see: Costumes should have bright colors and reflective tape. Carrying a flashlight is another good way to stay visible. Small toddlers are difficult enough to see without being camouflaged by a costume that blends in with the night. 4. Stay close to home: Familiar places are always safest, and walking all over town will tire little legs quickly. Map out your route ahead of time and stick to it. Alternatively, visit an area mall, church, or other organization that offers safe trick-or-treating events for children. Of course, whichever option you choose, always stay with your toddler. 5. Sort the treats: Some treats and candies can pose a choking hazard, so be sure to sort them out of your child’s haul for the night. Also remove any treats with opened or broken wrappers (see more about tampering with Halloween candy). Consider limiting how much your child can eat at one time. You don’t want a tummy ache to ruin the fun! Trick-or-treating is more fun for everyone when it is done safely. Bright colors and reflective tape will make your child easier to see. Make sure to get rid of treats that pose a choking hazard or appear to be tampered with. Mayo Clinic. Halloween Safety: Tips for trick-or-treaters. CDC. Halloween Health and Safety Tips.